So here we are at the tail end of a manic Thursday, day 2 of the NFL’s condensed offseason. The New England Patriots pulled their second coup of the day by trading for Chad Ochocinco just hours after acquiring Albert Haynesworth from the Redskins. Now these were the moves we at Taylor Blitz Times had suspected Bill Belichick to make during the 2011 draft a few months back. Right now he has to be sitting at Patriots headquarters with a cheshire cat grin from ear to ear. As evidenced in last year’s playoff loss to the Jets, once you make it to the highest level in football, you need top shelf playmakers. With swirling talks about Namedi Asoumgha possibly going to the hated Jets, the Patriots come through with a brilliant counter move. With all the noise being made in New England, the big winner could be the Kansas City Chiefs with the move to add Steve Breaston. 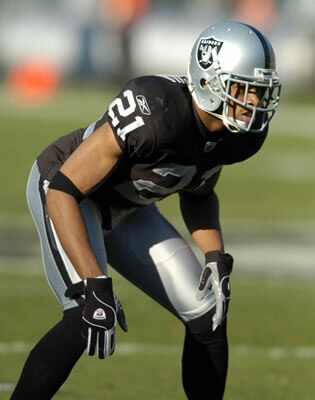 Breaston rejoins Coach Todd Haley in Kansas City to team with DeWayne Bowe to give the Kansas City Chiefs a formidable set of receivers. Do you realize that Haley has a chance to go with some 3 receiver sets with Bowe, Breaston and draft pick Johnathon Baldwin out of Pitt. Don’t look now but Haley is mimicking the 3 receiver set he had in 2008 when he was the Cardinals offensive coordinator with Fitzgerald, Boldin, and Breaston. 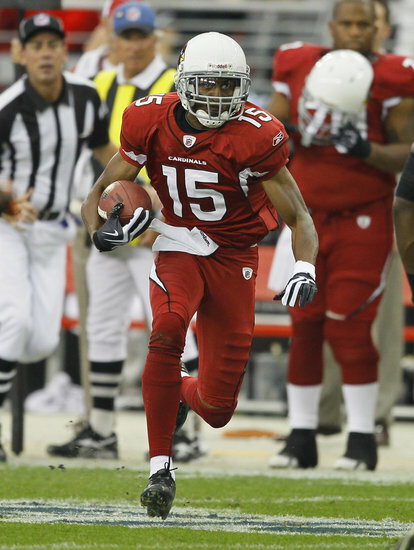 In his last two years, Breaston’s catch total was down with only 55 and 47 catches as the Cardinals struggled at quarterback. Yet if you go back to the 2008 season when there were two other marquee receivers and defenses couldn’t concentrate on him, he had 77 catches for 1,006 yards and 7 TDs. Matt Cassel has to be doing cartwheels. As for Bowe, he had an explosive year pulling in 72 receptions for 1,162 yards and 15 TDs. A physical specimen at 6’2 221lbs with good speed, is only going into his 5th season and should be there for the Chiefs for years to come. With a strong running game to force more 8 man fronts Bowe had a field day against undersized DBs. With the addition of 6’4 228 lbs Baldwin, the Chiefs will field one of football’s largest set of receivers. Namedi, Namedi, Namedi. Right now it looks like a battle between the Jets and the 49ers for his services after the Texans sign CB Jonathan Joseph from the Bengals. 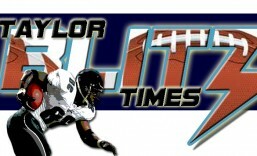 Right now the best rivalry since the Dallas Cowboys and the San Francisco 49ers is heating up. 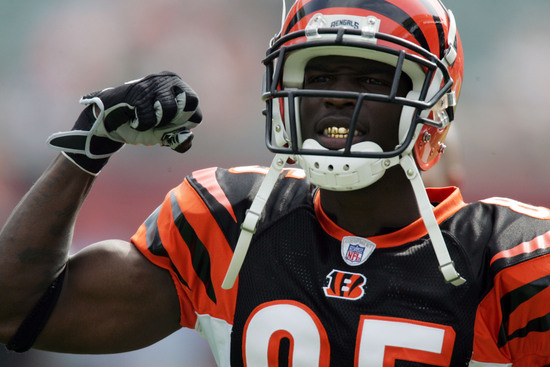 With all the talk of adding the valued Raider corner to their roster, the Patriots countered that move by trading for a quality receiver in Chad Ochocinco. So right now Namedi has two choices: Either play with a downtrodden franchise in San Francisco and be out of the playoff race by the end of September. Or he can sign with a team that just played in the last two AFC Championship games and team with Darelle Revis, and become this generations version of Hanford Dixon/ Frank Minnifield. Help get them over the hump to Super Bowl XVLI. I have a feeling he’s going to choose the latter. He could have stayed in Oakland if he wanted to lose. Yesterday, freshly anointed team captain Mark Sanchez said he would re-work his contract to make room for Asoumgha and they were already somewhere around $10 million under the cap. We still think this is a Super Bowl caliber team and if they make this move to have the league’s top corner tandem, the road to Super Bowl XVLI will go through the Jersey Meadowlands. This entry was posted in 2011 Team Previews and tagged Chad Ochocinco, Namedi Asoumgha, NFL, NFL Acquisitions, nfl football players, NFL Free Agency, Steve Breaston. Bookmark the permalink. ← Haynesworth to New England: Reach or Belichick Coup?? Sanchez might rework his contract, but he needs to rework his footwork if he is going to the next level. As for KC, it was a down year in the West and a lot of retooling has been going on there. Yes that is a formididable recieving corp, but I think Cassell kind of snuck up on people last year after previously doing not much. Teams will be geared up to stop him more this year than last and SD is on the up side of their every other year swing so look for them to put a wrench in your big plans for KC.